Santram is a nickname of Type T100 tramcar operated by Toyama Chiho Railway. The company also manages another tram line "Centram" (refer to #446). The word "san" in the name "Santram" means "three" or "third" in English. 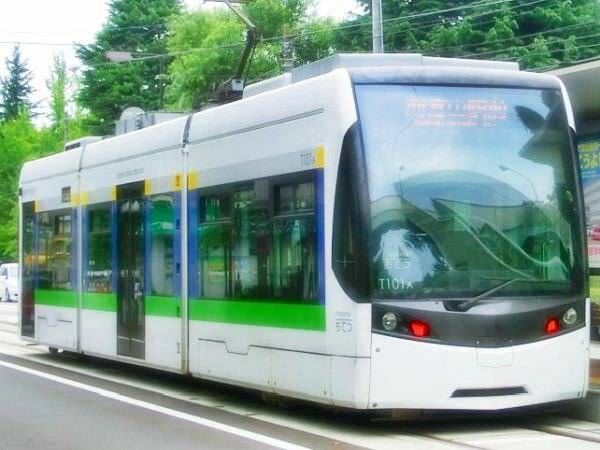 Which indicates it is the third low-floor tram in Toyama after "Portram" (refer to #447) and "Centram".